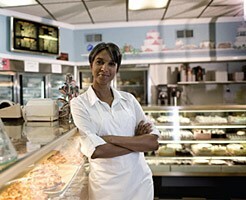 Lighting is a critical component of every small business. 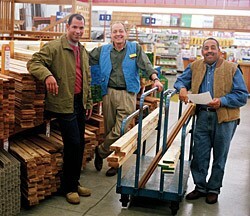 Employees must be able to see to safely perform their jobs, and floor space should be aesthetically pleasing to encourage sales. You may be surprised to learn that lighting can take a larger share of a building's electricity use than any other single end use. Lighting systems produce large amounts of heat and are typically the largest source of waste heat inside commercial buildings. Energy-efficient lighting, such as compact fluorescent bulbs, add less heat than inefficient lighting. By decreasing internal heat gain, efficient lighting also reduces a building’s cooling requirements. Your business may be spending much more than needed to effectively light your facilities. Significant cost savings can be achieved with energy-efficiency improvements, and due to continually improving technology, lighting usually provides the highest return-on-investment of major upgrades. With good design, lighting energy use in most buildings can be cut in half while maintaining or improving lighting quality. Such designs typically pay for themselves in energy savings alone within a few years, and they offer more benefits in terms of the potential for smaller and less costly cooling systems and more productive work environments. Combine this with rebates from your cooperative for retrofit applications to save even more! Rebates are limited to eligible services that purchase more than 6,000 kilowatt-hours of electricity on an annual basis (not for new building construction). Click here to view program highlights! For additional information regarding this great co-op member benefit, please contact Randy Kinnison at 1-800-279-2249, extension 30.